This fashion promo film shot in Tokyo combined the amazing DaVinci Resolve V12 grading toolset and the incredible low light performance of Sony's A7s at 12800 iso to great effect. 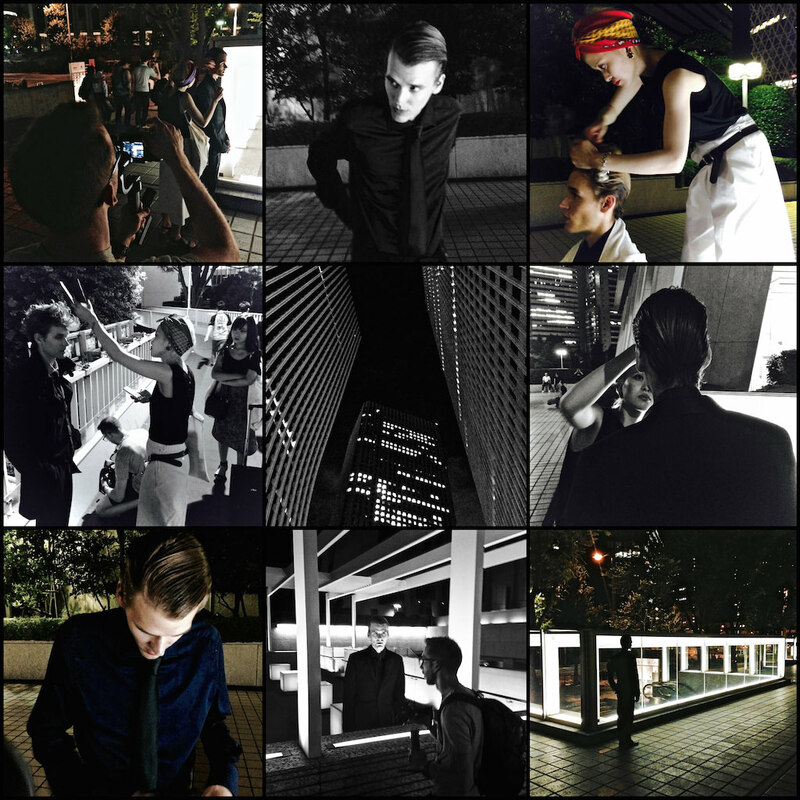 Shot by Damian Major with a crew of three on a balmy summer’s night in Tokyo, this fashion promo film for Asaf Ganot combined the color grading power of DaVinci Resolve and the incredible low light performance of Sony’s A7s exposed at ISO 12,800 to great effect. I helped on-location at the shoot with my handy reflector and a tiny video light which were the only additional lighting tools used on a handful of shots. Good looks and acting were provided by professional model Drew Barnett and Hiromi Nishinaka provided several great hair and make-up looks very efficiently in tricky conditions. Eren Hayashi was the on-set stylist making sure the clothes were presented right. This rapid night shoot in Shinjuku used available light but thanks to the insane low-light sensitivity of the Sony A7s we found that in some cases we needed to reflect light away from the subject to keep him in balance with the background scenery. Bouncing streetlights provided some fill-light for the face on darker several locations. In many cases the tiny video light that we brought was too bright so I bounced it off the reflectors white side to diffuse and weaken it. The 28mm and 50mm Sony primes were shot wide open for that luscious full-frame bokeh look giving maximum light to the sensor – it’s more tricky to focus but looks super atmospheric. The Pilotfly H1+ 3-axis gimble grip was used and allowed Damian to whizz around with Drew the model capturing nice silky smooth atmospheric shots adding to the dynamism. Filmed at 24P using S-Log (PP7 profile) and internally recorded; the flat ungraded image contained a lot of detail considering the almost dark shooting conditions. Due to the artificial quality of the lighting and the faxt we were shooting in the very flat Sony S-Log 2 profile I suggested that we shoot my X-Rite Color Passport chart and I later used that to build some custom LUTs in DaVinci Resolve V12 to de-skew the colors. I often try to balance any shots to normal even if I know I will later heavily stylize them – it’s just the way I work and production clients appreciate this also. I color graded the S-Log footage in Resolve V12 finally settling on a more magazine-like cool muted look alternating cyan and magenta with some ‘lifted’ black and white inter-cuts to provide and alternative look for the character’s alter ego. I flattened shadows and highlights away from textbook levels to make it look more like film print than negative but no grain was added. A7s is an awesome and compact full-frame tool in the right hands – if it could shoot Ultra HD internally in future it would remain amazingly compact for quick location shoots. Shooting 1080p HD likely hushes the images further which was actually perfect in this situation. I really can’t emphasis enough how dark it was there; it almost looked like you were shooting nothing at times! A7s is like having night-vision goggles and Damian was the only one wearing them leaving us to use our imagination only by the sidelines. Great result overall and nicely done everyone! Looking forward to a future launch of A7s mark 2 which i hope would have a stabilized sensor and native 4K recorder making a in powerful run-n-gun cam. As a Colorist I prefer the color fidelity of my Blackmagic Cinema Camera shooting pure raw footage but when it comes to night and astro shooting A7s performs superbly with atmospheric ‘noise-free bokeh-heavy’ images capturing shots you just couldn’t normally get. DaVinci Resolve V12’s toolset is way more refined in almost every way. 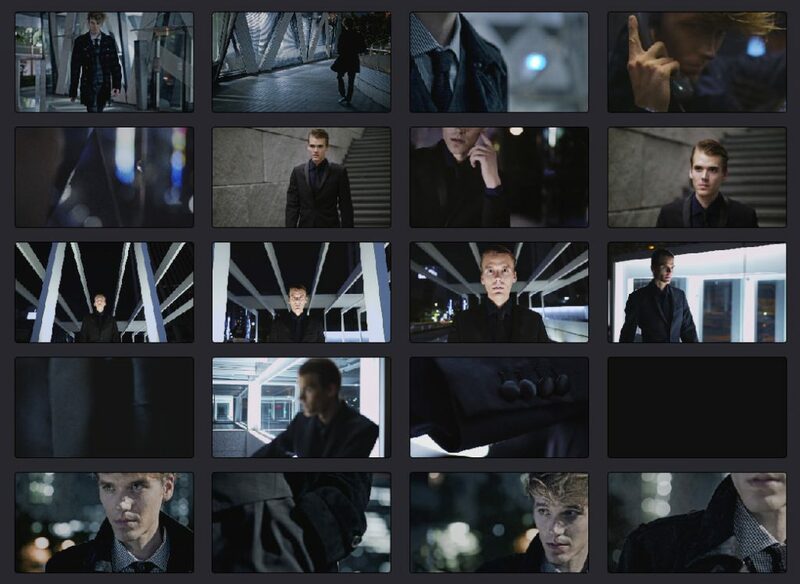 The biggest benefit on this project was it’s ability to analyse our color chart and allow us to experimentally group grade sequences of shots to find complimentary looks quickly. It doesn’t matter how good software is, you still have to make creative decisions about a project but what I like about Resolve 12 is that you feel it’s working with you, not against you like some other software. One you know the tools you’re always very close to getting exactly what you want. Features like the new 3D Perspective Tracker and being able to smart cache any noise reduced clips keeps the timeline snappy. Simple things like duplicating your timeline and making multiple color grades of the same piece also lend to the creativity. As often is the way, we had a few alternate shots to replace before rendering a final master; the new editor is super slick and much more fluid to handle. V12’s ability to play video with sound smoothly in both edit and color modules really helps with music based cuts.